How to pack smart, small, and stay looking sharp? My goal when I travel is to have one bag I carry, my JULPAK holding my important docs and phone, and not a whole lot else. This goes for overnights, camping, or for longer trips. It’s essential to pack lightweight clothing that can be layered so that you have extreme versatility. 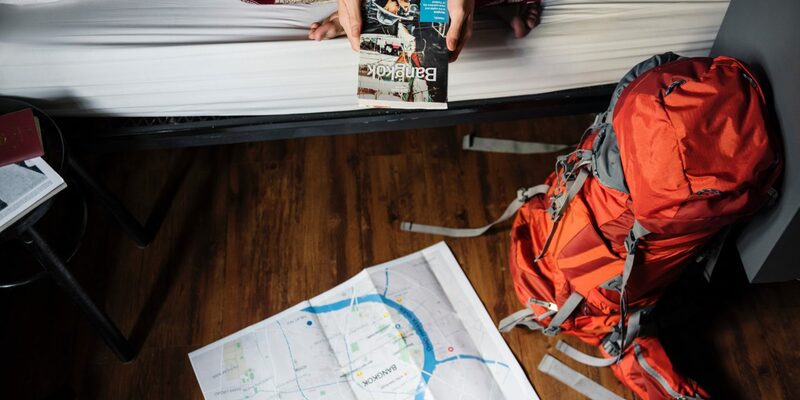 Your trip may take you to a variety of places in cities and towns, or you could be navigating off the beaten path. Having options doesn’t mean you’ll need to over-pack. Include clothing that can be worn on your daily adventures and then dressed up with a shemagh or some jewelry. 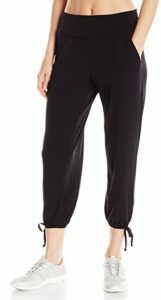 Maybe a skort or comfortable travel pants that can be worn for an outing around town. Consider clothing with SPF or mosquito repellent fabric if you’ll be trekking outdoors a lot. 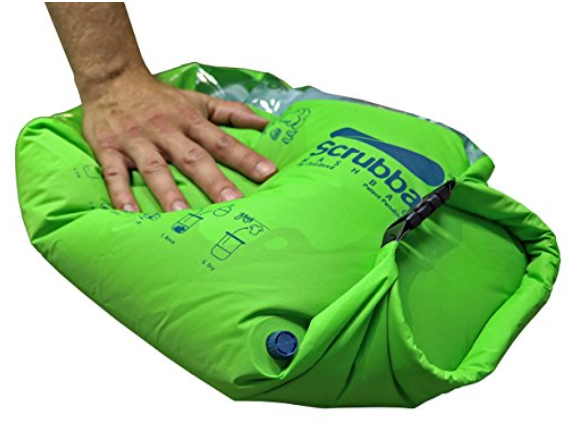 It’s worthwhile to look for clothing that washes up easily in a Scrubba* or hotel sink and will dry quickly with minimal wrinkles. The items I’ve chosen and field-tested below all have those properties. 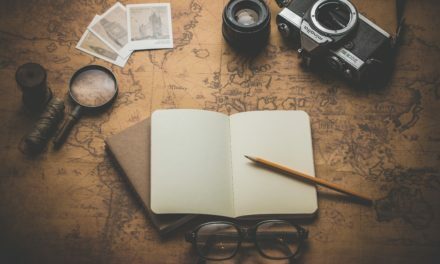 Packing Tip: when choosing clothing I picture myself in each location I plan to visit and imagine what the typical conditions will be, how I want to move through that place, etc. This helps me to sort and let go of the flotsam and jetsam! T-shirts and tank tops – your base layer is always going to be the same as what you normally use daily. Be comfortable and remember that when it gets H-O-T outside, you may want to peel off layers all the way down to this one. Be respectful of local customs if you are traveling internationally. Long-sleeved shirts – style and comfort can merge with utility in a sporty shirt. What you wear can protect you. I absolutely love the ExOfficio line of clothing for travel. They offer UV protection, bug protection, and are odor resistant; they are wrinkle resistant, quick-drying and yes, stylish and comfortable. Sizes run a little small, so opt one size up and try it on before you head out. Short-sleeved shirts – the key to a great shirt is being lightweight, comfy, quick drying, and wrinkle resistant. You can get all of these out of a lot of different styles and makes. Here are a couple that I like for travel. 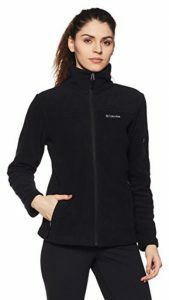 Fleece jacket – it’s always a good idea to have a lightweight jacket of some kind when you travel. You never know when the weather will turn, and you might be traveling through several climate zones. I opt for lightweight fleece with zip-up and pockets. This way I can adjust for temperature changes and fleece stays warm, even when wet. Having a zippered pocket for hands-free maneuvering is great, too, as well as a hoodie. If you prefer, a lightweight wool sweater would do the same. Pants – I used to be a jeans girl for all occasions, but I have discovered that the modern fabrics made for outdoors are unbeatable. They are stylish, lightweight, wash & hang dry, wrinkle-free, and most of all, comfortable. Again, look for UV protection and mosquito repellency. You may also want to throw in a pair of yoga/gypsy pants for lounging. It’s nice to have something easy-on and off for lounging. Shorts/Skorts – you could look into a pair of long pants that have zip-off leggings and convert to shorts. I find that most of those have the zipper line in an uncomfortable place and they tend to roll up in a funny way. I love the Sahara shorts from REI for their comfort and durability. I’ve worn mine for several seasons and I keep buying them. Or skorts may be for you, very practical and look nice. Dresses and skirts – if you plan on some fine dining on your trip, you may want to bring the ultimate travel dress, a slip-on dress that can be rolled up and come out looking fabulous. You could throw in a pair of black ballet shoes to go with this outfit, then dress it up with some jewelry and your scarf. Belt – I travel with a belt that offers a money protection option. I can also put a couple of small emergency items in there just in case. It’s also a good and sturdy belt to put your JULPAK on. You can never have enough layers of backup:” Two is one, and one is none”! Socks – you cannot beat a good pair of wool socks. We are not talking your grandmother’s oatmeal Ragg woolens. Smart Wool has changed the game and their socks last for years. Underwear – we need to mention these unmentionables. Be comfy, but keep in mind that you may need to hand wash them out, so consider non-cotton for travel. They will dry a lot faster and you only need to bring two pair. Another advantage to especially designed travel or sport underwear is that they are anti-microbial for extra-long, low-smell factor wear. Pajamas/sleepwear – lightweight shorts such as jogging shorts and a T-shirt are my sleepwear of choice. Whatever you are comfortable in! Hat or sun visor – it’s always a good idea to protect your head, face, neck and eyes in high-UV situations. Choose something with a wide brim and is crush-able. 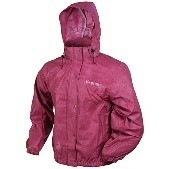 It also doubles as a rain shield if the weather turns on you. 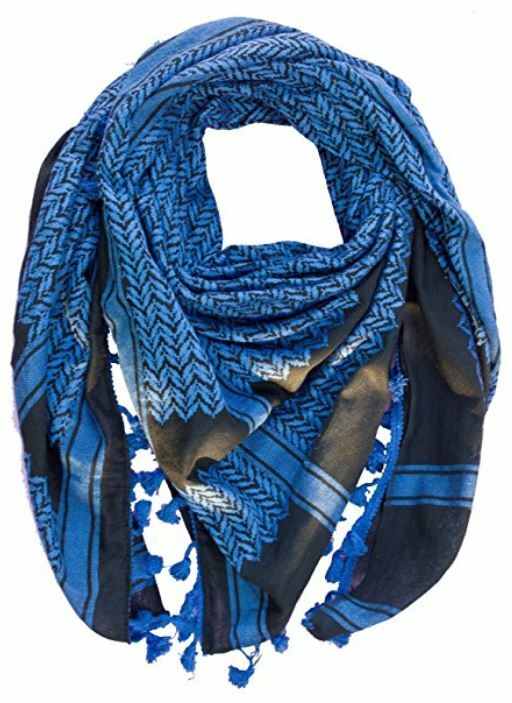 Scarf and/or bandana – I have adopted the shemagh, or desert scarf, because of its size and versatility. I saw Cody Lundin use these on every episode of Dual Survival and wow! They sure can come in handy. 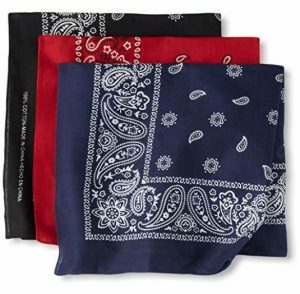 They are larger than a traditional bandana (48″x 48″) and they come in a variety of colors and patterns for any occasion (not just for outdoors). The shemagh can be manipulated from a fashion accent to a workhorse in a hot minute. 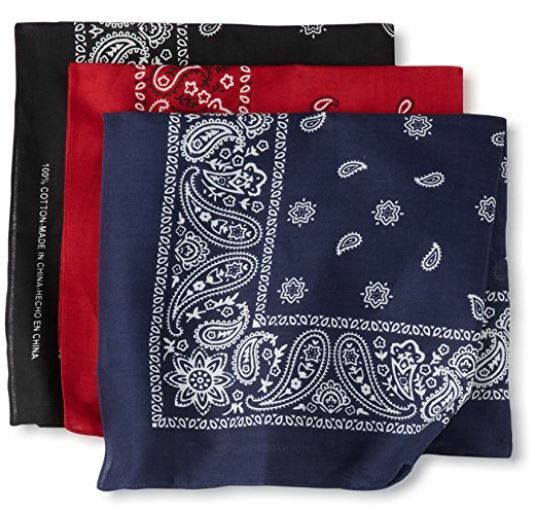 And/or you can go the tried and true bandana, which I carry anytime I leave home. Sunglasses and glasses case – a must for anytime. Swimsuit – whether your destinations have a beach, lake, river, or hotel, there is an opportunity to don your suit and take a dip. Shoes – one for walking, one for leisure, one for showers. I can’t stress enough the importance of a proper walking shoe that fits you well, especially when you are traveling away from home. Don’t be caught with blisters, sore toes, aching heels or arches (think Wild by Cheryl Strayed). Whatever your style, make sure you give them a good workout at home before you head out trekking. I always pack a pair of “soft” shoes to put on in camp or at the hotel after a long day of adventure. A nice pair of moccasins or water shoes work well and pack up small and light. One more item to consider is a pair of flip-flops. These double as camp shoes and as protection for your feet when you get into strange or questionably clean shower stalls. 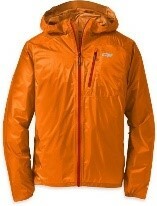 Rain jacket – this is the least obtrusive type of rain gear you can carry, and it acts as a windbreaker for those windy peaks and vistas. I’ve previously included the Helium II as a great high tech jacket, but if you want to go low tech, Frogg Toggs is the way to go. 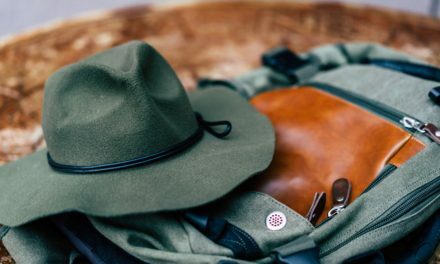 Preparing to travel – if you are traveling by air, there’s an old trick that many experienced travelers use: wear all your layers to avoid having to carry them! Pretty slick idea, and as long as you can be comfortable doing so, give it a try. The less you have to carry, the more care-free you can be! So…what to put all of these items in? Stay tuned for my upcoming talk about travel bags, and don’t forget your JULPAK! If you are enjoying the posts here on the JULPAK website, please consider checking out my KICKSTARTER campaign by June 8th!